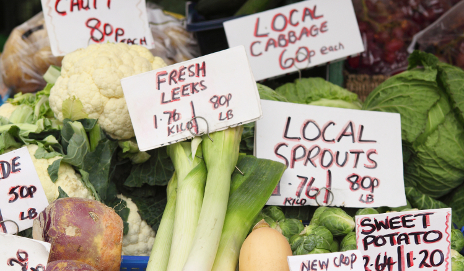 How often do you buy food based on where it comes from? Many of us take a cursory glance at the label before adding it to the trolley, but it could all be in vain if recent research is anything to go by. It was good news for Cornish pasty makers last week. Well, good news for those who actually make them in Cornwall, because Cornish pasties got protected status. It might not sound like much to you or me, but it’s a big deal to Cornish pasty makers who are proud of their product’s origins and traditions and have fought long and hard for this protection. So, the Cornish pasty now has Protected Geographical Indication (PGI) status, alongside champagne, parmesan cheese and Jersey Royal potatoes. This means that pasties made anywhere else can no longer claim to be Cornish. And while that last point may sound obvious, other news this week proves that it most certainly is not – and that other places could do well to covet the same fierce protection of their product’s origin. Why? Because the local government regulation (LGR) found that almost a fifth of products claiming to be ‘local’ were making false claims. We’ve all heard horror stories about ‘British’ beans that are grown in Kent, sent to Spain to be trimmed and then come back to Wales to be packed, but this report highlights just how widespread the problem has become. The LGR found ‘Welsh’ lamb from New Zealand, ‘Devon ham’ from Denmark and ‘West country fish fillets’ that had indeed been caught in the West Country – but filleted in China. Other atrocities included ‘fresh local cream’ which was actually a cream substitute made with vegetable fat. Nice. I don’t think I’m alone in looking at labels to see where the food (apparently) comes from, but neither am I the only one who rushes round the supermarket in a hurry. Apparently shoppers spend just five seconds reading each product label in the supermarket, so transparency of labelling is clearly necessary. Unfortunately, this latest research only highlights what we already know – that when it comes to buying food, we don’t know much. Unless we’re tucking into Cornish pasties of course. All of the above had completely escaped my attention. Whilst I have nothing to add, I would like to express my thanks for raising this topic! I shall be more aware, moving forward. Euggh. Was going to have some breakfast but that’s put me right off. I think I had heard this rule about ‘substantial change’ before, but didn’t realise quite the extent to which companies were willing to interpret it. Most of this seems to be sold in supermarkets. A sure way of ensuring proper local food is to buy from producers or high street shops – assuming there are any in your area….even there you may find spring onions from South America -! I agree in theory, although I think you still need to go to a local farmer’s market to ensure it’s local (even then it might not be – my farmer’s market allows a certain amount of shipped-in produce, providing it’s fair trade). I get quite a lot of fruit and veg from local shops and market stalls and I’m pretty sure most of it is flown in from all over the world – and the sellers probably have no idea where stuff comes from. But yes, shopping locally still has to be preferable to supermarkets in my opinion. I was aware of this to some extent (I always thought that the appelation “Somerset Brie” was hilarious), but like Cat I shall be even more vigilant from now on. This conversation has spurred me on. According to the Advertising Standards Authority, advertising should be ‘legal, decent, honest and truthful’. Presumably that includes product descriptions. I think I trust ASA less than the rogues that misrepresent their products to enhance their profits.